Make it a group thing and find your strength in numbers, so much to offer in our group fitness classes. Guaranteed to keep you motivated! Classes for every age & fitness level! Group Fitness classes are FREE with your membership. We have 130+ classes each week including Yoga, Pilates, Spin, Waterworks, Zumba, Barre, Overdrive/HIIT, Kickboxing, O.A.S.I.S. and more. We take pride in our group fitness instructors. All of our instructors have completed certified/accredited teaching and training programs in addition to being CPR & AED certified. Some of the certifications include: ACE, AFFA, Spin, Zumba and 200 hours of Yoga training. Questions? Contact our Group Fitness Director, Dawn Schramer, 630-348-5380. Warm Water Pilates: Friday, April 19th, 12pm is cancelled. Please welcome Sue Loftus to our Group Fitness Team. 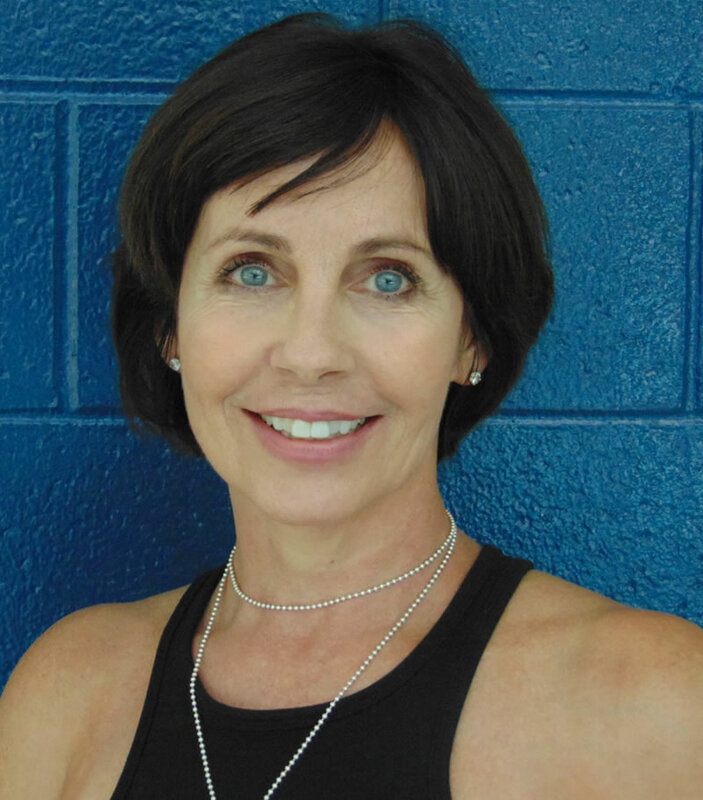 Sue has been teaching group fitness classes for 15 years. Holding certifications in multiple areas including Zumba, Pound & Peyow Aqua Pilates, Sue teaches a variety of cardio & strength classes. Join Sue on Thursday mornings at 8:30am for Power Intervals. Interested in a Pilates Demo Class? Call Dawn 630-348-5380!